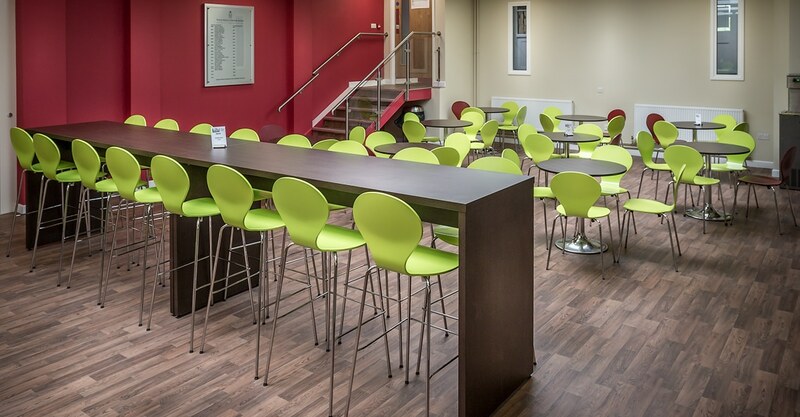 Popular for its strong roster of modern language courses and integrated learning programs, Prince Henry School in Otley, West Yorkshire approached Spaceist to work on devising a practical and ideal furniture package for the newly built café and canteen area. 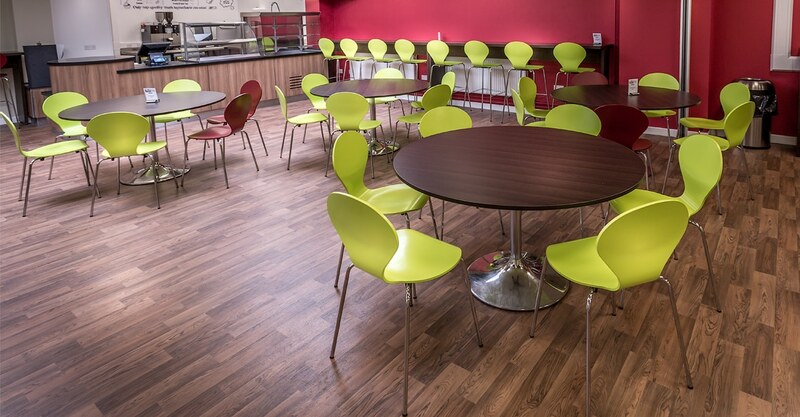 With a spectrum of experience working on school canteen projects, the Spaceist team were able to offer the clients confidence in achieving the desired result. Prince Henry School has been around for over 200 years yet continues to move ahead with the times and is now a modern, forward thinking Academy providing teaching of an international level. With links to partners school from around the world, the staff & student involvement in various aspects of the school program is of a high level. 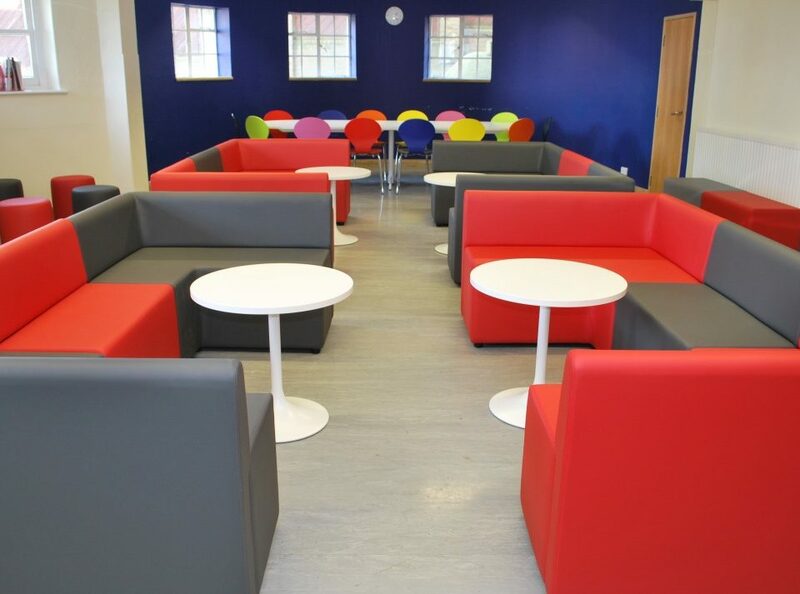 In order to accommodate this status and to continue with a modern outlook, it was vital to form a furniture package that suited this reputation and create a highly functioning and enjoyable environment for the students. 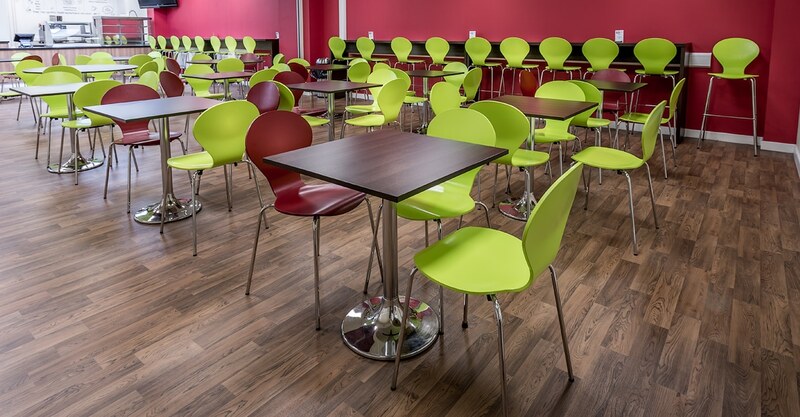 With a high volume of users, one of the key aspects was to ensure the chosen products did not lead to overcrowding or appear to clutter the café and canteen spaces when in use. 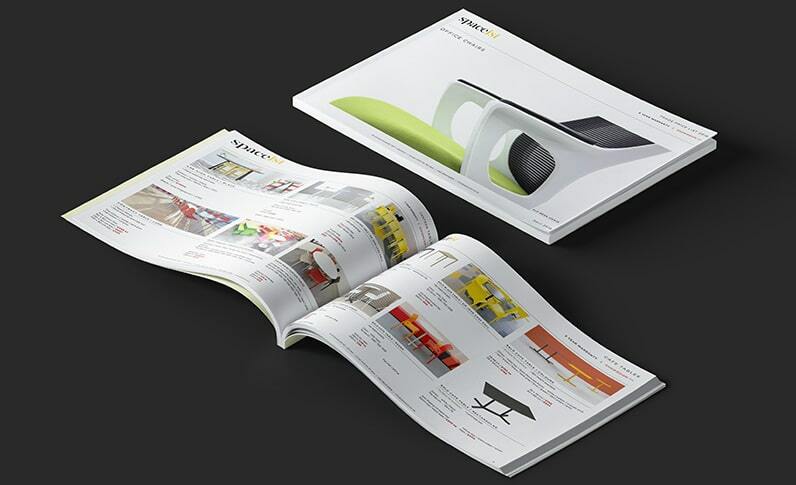 To support the this and to target daily incidents of wear and tear, the final products needed to be highly robust, maintaining original form even after prolonged use. Also, it was key to select options that offered a modern aesthetic that matched the key colours of the school palette. For the tables, the Dream cafe table >> in wedge wood veneer was selected with a chrome base, shaped like a small trumpet to offer café style seating within the smaller area of the canteen. The wenge option coordinated with the deep wooden shades found in the floor and is a solid option manufactured in two parts for easy onsite assembly. The simplicity of the tables makes it an ideal choice for commercial interiors and spaces that require contract grade tables at an economical value. To provide a varied seating area between the more informal café and the canteen space, plus to provide additional dining space along the walls, the Canteen high table was supplied. 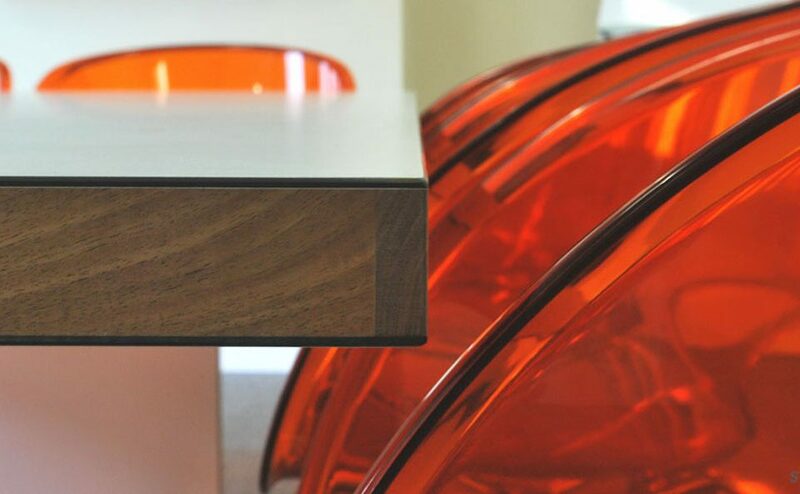 It also fit the requirements of a highly durable option, with customisable surface properties to coordinate with the Dream table and the surrounding interior surfaces. The simple Canteena table and the Dream table ranges both present modern appeal and are highly robust, vital requirements of the project. To include further colour into the space and to coordinate with the surface palettes chosen, the selection of the final seating products includes the versatile Ondo plywood chairs >> and Ondo bar stools >>. Selected in two stylish shades, one a deep red and the other a brighter pistachio green colour, the Ondo chair is a popular choice for the wide range of colour options it permits. 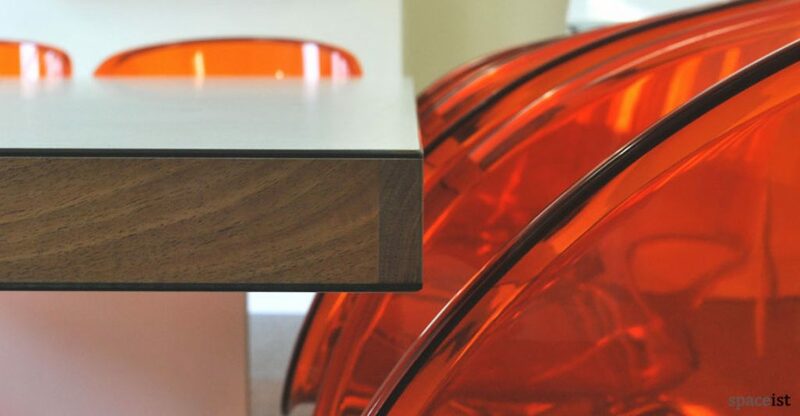 The slim chrome base legs offer unassuming support along with a robust seat made from curved plywood. 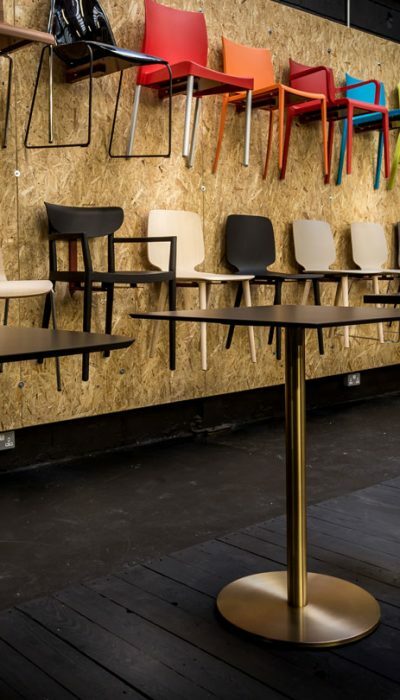 The chair comes in two heights including a bar stool option that made this the ideal choice to match with the Canteena high bar tables and the Dream tables to provide a consistency in the canteen and café areas. 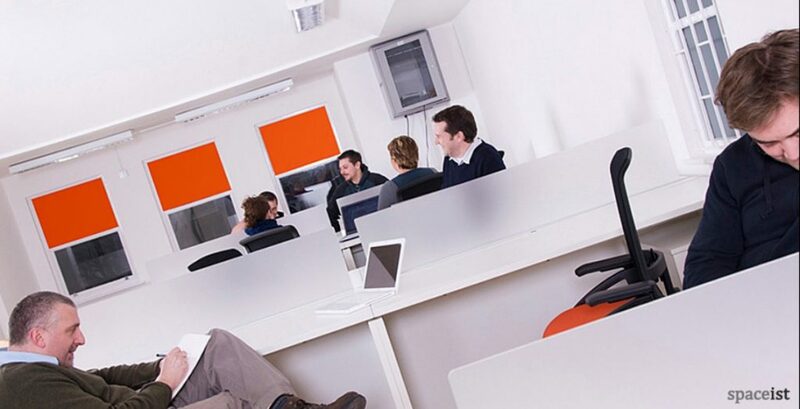 The Ondo chairs being lightweight, can be stacked for cleaning or reducing the number of chairs when not in use. 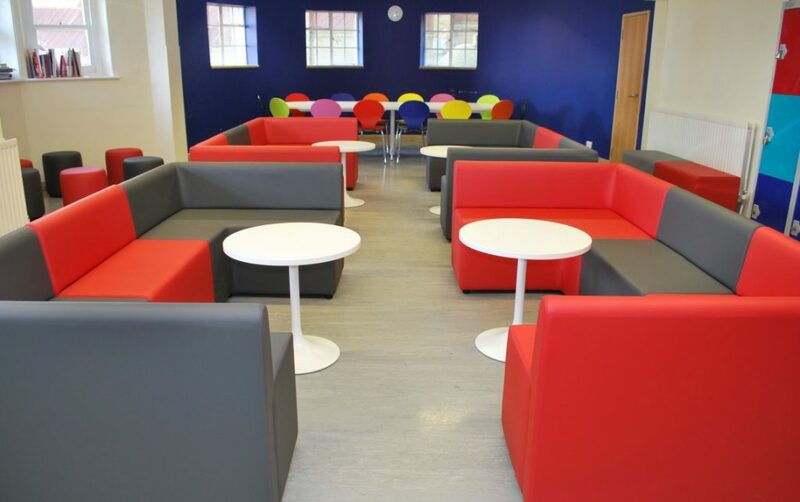 The final result was a highly attractive and comfortable dining and recreation space for the students to enjoy that provided adequate space without over cluttering the canteen area. The bright green pistachio chairs adds a playfulness while the strong deep brown colour present in the wenge tables and flooring emphasises that this is a professional educational space. 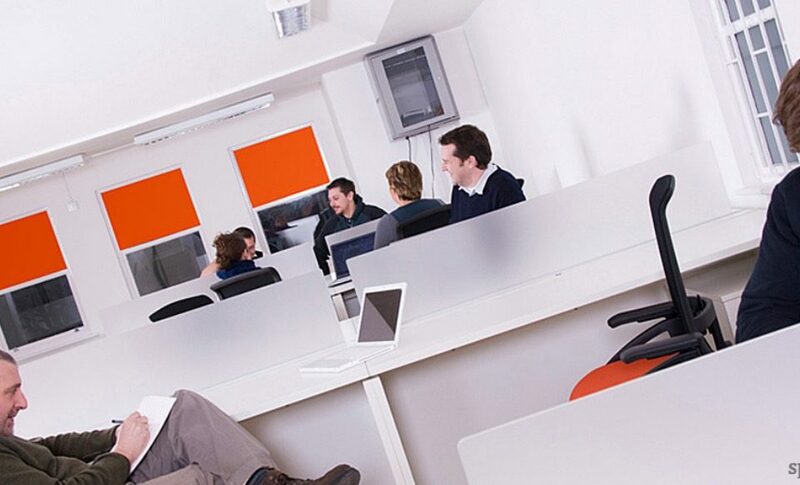 Flashback Friday: Sophisticated meeting room furniture for Agency Inc.